Canada’s melting pot of health care can be a tricky one to navigate from province to province, with each establishing their own set of guidelines governed by separate bodies without a national connection. So a physician practicing in Ontario may work under different rules than one in Manitoba, including things that aren’t covered by their provincial health care coverage. For example, an individual may be covered for prescription drugs until the age of 25 in Toronto, but stuck footing the bill as a 19-year-old in Calgary. But for all their differences, the provinces seem to agree on many aspects of uninsured services — including a clinician’s right to bill their patients for these services based on the time and effort they take without remuneration from the government bodies. Consistency is key for any practice. Keep the same rules across the board and consider waiving fees in circumstances where payment may not be possible. 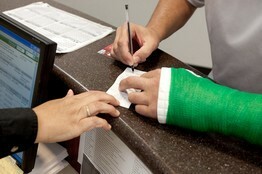 Give new patients a welcome letter with rates for the most common uninsured services. Publish third-party fees on the practice website and make them available at the front desk and the waiting room. Tell a patient before performing uninsured service and offer them the chance to refuse it, rather than doing it and surprising them with a bill. Even when fees are waived, offer a ‘receipt’ for a chargeable service both to ensure the patients know the value of the service and the potential they may have to pay if circumstances change. Know the recommended billable hourly rate for uninsured services and bill by the minute for forms. Keep a record and be prepared to offer a time account for third-party services. Complete forms as close to when they arrive as possible. Accept all forms of electronic payment and ensure every staff member knows how to process them. This is better than billing the patient, paying postage and not collecting. Know your uninsured services, whether you practice in Newfoundland, PEI, Nova Scotia, New Brunswick, Quebec, Ontario, Manitoba, Saskatchewan, Alberta and British Columbia. This entry was posted on March 18, 2019 in Doctor Resources, Health & Wellness. ← Can Technology Help Lighten Your Medical Office Workload?